“Secretariat, the Impossible True Story” was a delight to see. The deep communication between the horse and his humans, the devoted connection, the knowingness of who this soul was, and the One Mind at work between all of the players was woven through the story. Secretariat (a.k.a. Big Red) expected everyone around him work from a place of reverence. Including his fans!! So of course he won the Triple Crown. Even though we know that this is the ending, the film was still fun to watch as his trajectory unfolded. A non-horse person would ask “What is the Triple Crown Joan?” The Triple Crown consists of three hugely defining horse races: The Kentucky Derby – 1 ¼ miles; The Preakness – 1 3/16 miles; The Belmont Stakes – 1 ½ miles. The Belmont is usually the crucial factor as many can do the first two but it is just enough longer that the Belmont is where the game is usually over. Secretariat is a horse that I have not only been obsessed with, but I have had the great fortune to interview his rider, Eddie Maple in Secretariat’s final race at Woodbine Racetrack in Toronto. I have always been curious about Secretariat because of how evolved he seemed to be – he knew people adored him – he loved his fans like Lady Gaga does. From my book “Communication with all Life, Revelations of an Animal Communicator”: This was 1973, Watergate was going on as well as the Viet Nam War. Because Secretariat had such a winning spirit, he mesmerized fans like the greats before him: Seabiscuit and Man O’War. On that particular day in a rainy, cold Ontario, however, Secretariat had much going against him. The fog was so thick that it delayed his last workout before the race. The weather, while daunting, didn’t stop over 30,000 fans from showing up to watch him. Secretariat’s regular jockey, Ron Turcotte, who had triumphed with him in The Triple Crown was disqualified. So Eddie Maple was picked to ride. This was like a dream come true for Eddie, but not without a lot at stake to be riding the greatest horse in his last race. 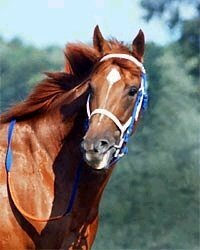 Also they would be racing against another great horse, the Canadian superstar Kennedy’s Road. Eddie told me about that magical day. He knew Secretariat would either win big or he wouldn’t put his heart in it. Eddie said that on that day, you could hear a pin drop. He himself stayed very quiet yet expectant, and that’s how the whole team was as well―the trainer, the owner, and Secretariat. They won the race. To me, that is one of the best illustrations of One Mind at work. While it seems like an odd thing to start out a chapter on One Mind, it isn’t at all. Sports and money are measurable things in the world we have created here on planet earth. That’s what we humans have to learn from, to guide us. We like measurement. mission. He sulked if he didn’t win. He also was part of a very important team of humans that connected on such a deep level to make the winning so sweet, those humans also needed that win. It was a true team. This was evident in the film. Part of my interview with Eddie Maples is in my book “Communication with all Life, Revelations of an Animal Communicator” and I’ve reproduced the first couple of paragraphs here in the box! Eddie Maple confirmed for me all that I already knew about Secretariat and the film is also a wonderful illustration. What is it about Secretariat……..? It was more about that deep connection than the actual win. It was One Mind at work as I talk about in my book – he was the center piece of alignment between the owner, the trainer, the jockey and the groom. The film really conveys that. We all know the ending and yet our heart pounds and we want him to win. All of these players in the whole needed that win. As I bought my ticket, a couple ahead of me asked the young girl in the ticket booth what the film “Secretariat” was…..she said it was a horse movie. WOW. I wanted to scream – it’s an inspiration against all odds and an army of beings that made something seemingly IMPOSSIBLE happen. I hope the young girl in the ticket booth gets to watch the movie and know what it really is. It’s beyond an inspiration as it is the alleged luck of the draw. Penny Tweedy Chenery won the colt in a coin toss. It was a moment in time that everything convened for perfection and not without some pretty big choices and many more moments to continue to ask some hard questions of oneself. Even for Eddy Maple the rider of the last race at the Woodbine track in Canada, after all the big Triple Crown glory, he knew it was just let go and ride. He had to surrender to Secretariat’s greatness. Secretariat was known to give all or nothing. That race, at Woodbine, Secretariat won by 6 ½ lengths on grass. This is almost as impressive as the Belmont win as grass is not something he was used to AND the weather was working against them. In the interview, Eddy talks about being able to hear a pin drop before the race. I went to the Kentucky Derby years ago with MSNBC. Days before the race, I got to communicate with the horses in the big race. The Derby day, right before ‘the race’ I got to be present on the backstretch like a fly on the wall. I’ll never forget the silent parade that happens on the backstretch. Each trainer, groom, owner, is in deep thought/prayer and superstition reigns. The horses are even mesmerized into behaving until they reach the track for the rest of the walk to the paddock. Once they reach the track toward the stands, the mayhem of the 100,000 plus keg in the infield and the sea of hats and gallantry in the stands and boxes is an overstimulation at best! Yet that walk from the stall to the track itself is a true walking meditation and a surprisingly solemn and sacred moment. Secretariat the horse and the movie is a wonderful and sometimes daunting reminder of what we’re all going for….even in our darkest moments. What appears to be our luck of the draw? Who is on our team? What is our Kentucky Derby? What is our Triple Crown? What did we bet everything on – or are willing to bet everything on? What are we willing to walk toward in silence and then give our all to? All that packed into just a horse movie. Great acting, great costumes, fun movie – go see Secretariat! Animals are such great teachers – especially Big Red! Animal Communictor, Author, Speaker – www.joanranquet.com – check out the dolphin trips and workshops! Founder of Communication with all Life University, www.communicationwithalllifeu.blogspot.com.